Because of its performance and scalability as well as thread-safety, it is the most popular choice of Map in concurrent Java applications. In general, replacing synchronized collections with a concurrent collection can dramatically improve the scalability of your Java application with a little risk, as advised in of the classic Java book of all time, the Java Concurrency in Practice book by Brian Goetz. 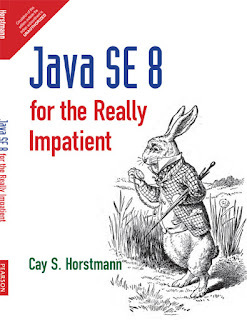 If you have not read this book then I highly recommend it to every single Java programmer. Many of you may find it difficult when you read it the first time but persist with it and you will reap the dividend in your career as Java programmer. If you still find concepts difficult to understand you can also take help from Heinz Kabutz's awesome course Java Concurrency in Practice Bundle, which is based on this book. Heinz is one of the Java champion and excellent instructor who has gifted teaching skills. He explains difficult concepts in such an easy language and examples which you can correlate. Anyway, let's start with this list of Java interview questions based upon ConcurrentHashMap class and concepts around it. Here are some of the best and frequently asked Java ConcurrentHashMap interview questions. These questions are collected from the real interview, hence, don't be surprised if you have already seen them during interviews. These questions will not only help you to do well on interviews but also encourage you to learn more about the concurrent hash map, which will eventually help you in your day to day programming job. The java.util.concurrent.ConcurrentHashMap is a concurrent collection class added on JDK 1.5 as a replacement of synchronized hash-based map implementations e.g. 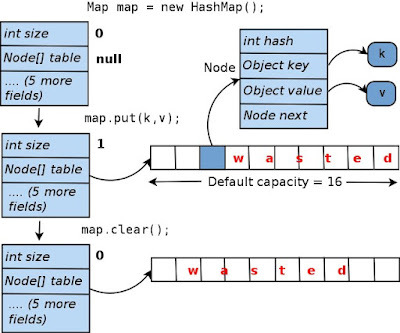 Hashtable and synchronized HashMap. They offer better performance and scalability over their synchronized counterpart with little risk. Yes, ConcurrentHashMap is thread-safe in Java, which means two thread can modify the map without damaging its internal data structure e.g. array and linked list. If you compare this to HashMap, which is not thread-safe, exposing HashMap to multiple threads may damage internal data structure and may render the map completely useless, where many links may go missing or pointing to wrong elements. The java.util.ConcurrentHashMap achieves thread-safety by dividing the map into segments and locking only the segment which requires instead of locking the whole map. So, yes, it achieves thread-safety using locking but it performs better because unlike HashMap, it never locks the whole map. This technique is also known as lock stripping. If you want to learn more about it, you can also take a look at Java Fundamentals: Collections course on Pluarlsight. Yes, ConcurrentHashMap allows concurrent read without locking as reading operation doesn't require locking or thread-safety. Yes, it's possible for a small number of the writer. For example, if a write operation is modifying one segment of ConcurrentHashmap and read operation is happening on other segments then a reader will not block, but if reader thread is also trying to read from the same segment than it will block until the writer is done. The java.util.ConcurrentHashMap works similar to HashMap when it comes to storing key/value pairs and retrieving values. The only difference in its implementation comes from concurrency perspective and how it achievers thread-safety. It divides the map into several segments, by default 16, also known as synchronization level. Because of this, concurrent get(), put(), contains() operation is possible because it never locks the whole map but only the relevant segment is locked. Which means readers can access the map concurrency with writers and a limited number of writers can modify the map concurrently. The result is better throughput and Scalability. You can further see The Complete Java MaseterClasss course on Udemy for details on the implementation of ConcurrentHashMap class. This course is recently updated for Java 11, the latest Java version as well. Since the Iterator returned by ConcurrentHashMap is weakly consistent, the recent concurrency modification may or may not be visible to it. There is no guarantee offered on such operation. I also suggest you joining course Java Concurrency in Practice Bundle, to learn more about how concurrency is handled by ConcurrentHashMap in Java. If you want to atomically update an existing value in ConcurrentHashMap, you can use the replace() function of concurrentHashMap. It accepts both old value and new value and only updates the map if the existing value in the map matches with the old value provided, this means the map is not concurrently modified during its call. You can also see Java SE 8 for Really Impatient for some code examples of atomically updating an existing value in ConcurerntHashMap. Iterator of ConcurrentHashMap is a fail-safe iterator which means it will not throw a ConcurrentModificationException, thus, eliminating the need to lock the map during iteration. The Iterator returned by ConcurrentHashMap are also weakly consistent which means if the Map is modified during iteration, it may or may not reflect the recent modification. Generally, it creates a copy of collection before iterating. This is one of the tricky questions related to ConcurrentHashMap. Since iterator's of ConcurrentHashMap are weekly consistent and fail-safe they will not fail with ConcurrentModificationException but it's also possible that they won't see any modification once iteration started. Even though it's implementation dependent, JDK generally creates a separate copy of ConcurrentHashMap for iteration, instead of iterating over original copy. Though, this means, you may not have access to methods declared in the java.util.concurrent.ConcurrentHashMap class e.g. forEachKey() or forEachValue() method added in Java 8. That's all about some of the frequently asked questions about ConcurrentHashMap on Java interviews. These questions will not only help you to do well on your job interview but also encourage you to learn more about ConcurrentHashMap. A good and solid knowledge of ConcurrentHashMap is expected from both junior and senior Java developer given its importance and usability in every Java application. At least you should be comfortable with day-to-day operations with ConcurrentHashMap and understand how the internal implementation works, especially when compared to other thread-safe map implementations e.g. Hashtable and Synchronized HashMap. Thanks for reading this article so far. If you like these interview questions and find my explanations useful then please share with your friends and colleagues. If you have any question or doubt then please drop a comment. the concepts and examples i need to search throughout your blogs. Hello praveen, you can use lables for that e..g if you click on the lables in this article about collection interview questions, all post with that topic will come up and you can navigate them using paginated links. I think you note about read + write is incorrect, reads are not at all blocks whether or not some other thread is writing in same segment. Since jdk9 ConcurrentHashMap is not divided on segments at all (here stated that map is divided on 16 segments by default). In fact, each bucket (or bin) has its own lock (first element in bucket serves as lock by itself), but it is only used when there are any hash collisions. If no collisions than lock-free approach is used.